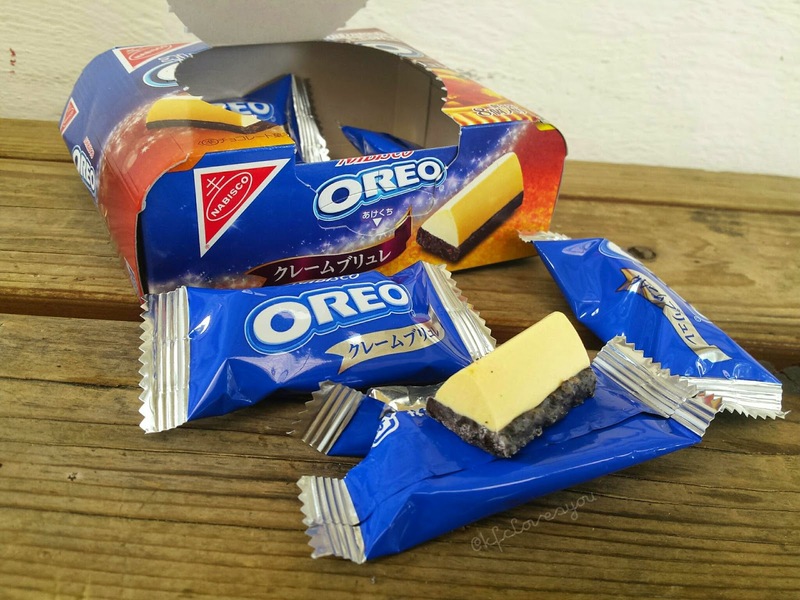 Now most people in the US know Oreos as the typical two cookies sandwiched outside of a cream center but the cool thing about Japanese Oreos is that they come in all shapes, flavors, and varieties! Behold this triangular prism shaped Oreo w/ a typical Oreo cookie crust on the bottom and a Crème brûlée flavored chocolate right on top. 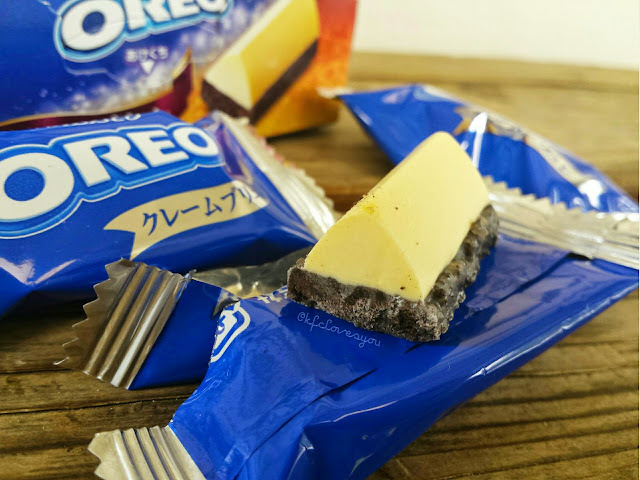 The cookie crust bottom is a bit crispier than your typical American Oreo and also not as sweet. 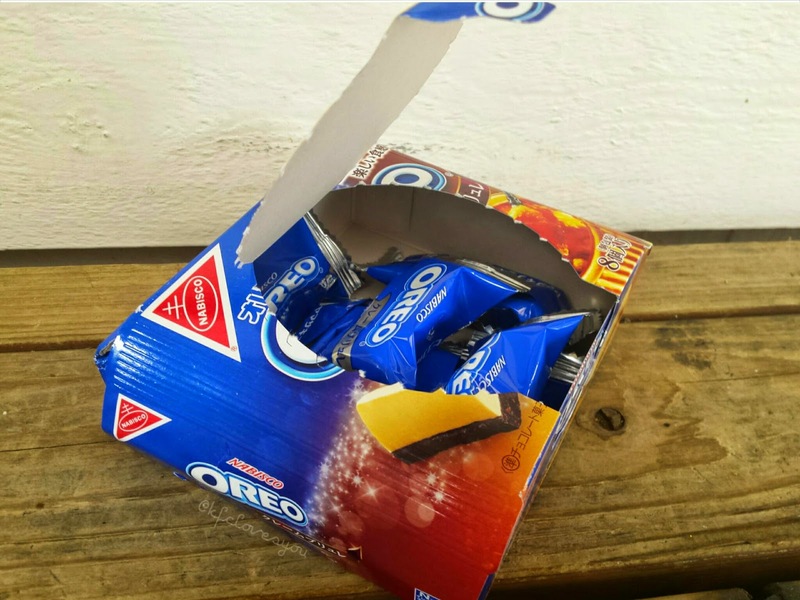 The best part is in the Crème brûlée flavored chocolate right above. They were able to capture the true burnt sugar taste of Crème brûlée the cookie crust on the bottom imitates that crunch you get on a freshly flame-torched Crème brûlée. 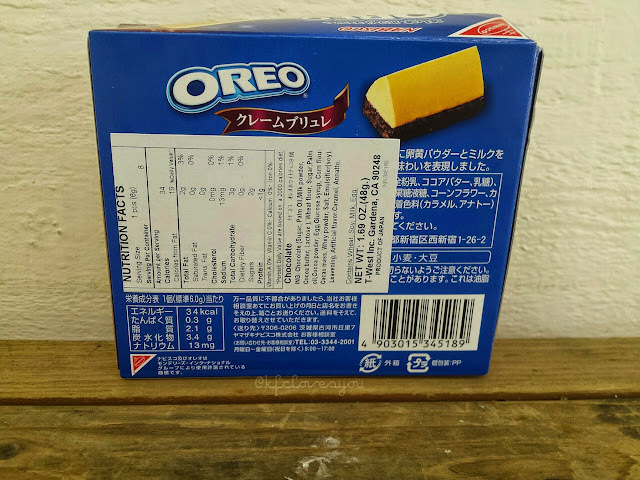 Unfortunately, this item is a bit rare to get a hold of, especially the States, but if you are lucky enough to find it in your local Asian/Japanese grocery store, then I would highly suggest picking it up. 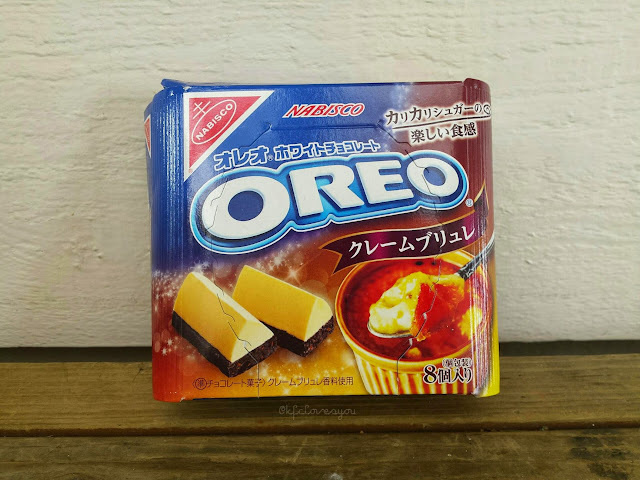 I picked mines up for around $3.50/$4 and was definitely pleased by it, despite the fact that pieces are small w/ only 8 coming in a box--that's just what you get with a lot of Japanese snacks! Readers, have you tried different Oreos other than ones found in America? What are your favorite flavors? Let me know!